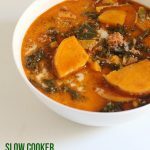 Looking for a new recipe for your slow cooker? 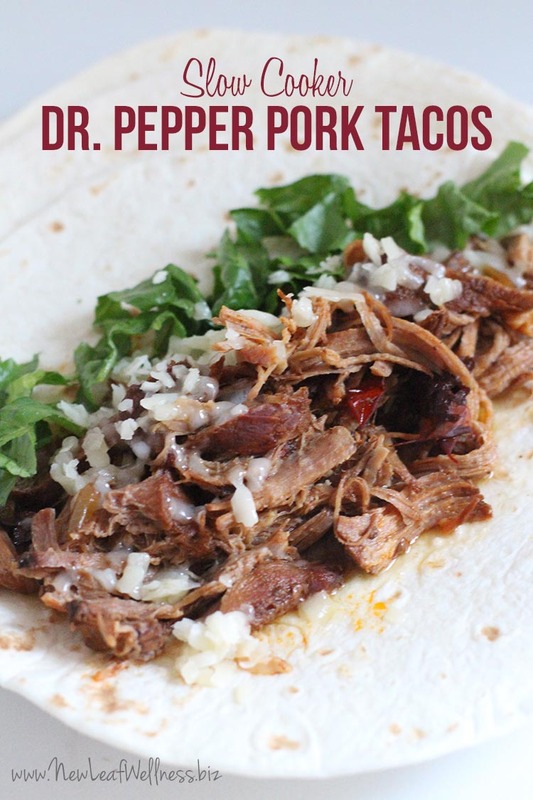 How about an awesome recipe for Spicy Dr. Pepper Pork Tacos?!? DE-LISH! My husband and I are in love with this recipe. I’m convinced that it should be served in a restaurant somewhere. It’s that good. These Slow Cooker Spicy Dr. Pepper Pork Tacos are my crockpot version of The Pioneer Woman’s Baked Dr. Pepper Pork. I’m sure it would taste delicious baked for six hours, but I’m much rather put everything in my slow cooker and forget about it. The shredded pork is sweet and subtly spicy. The taste of Dr. Pepper makes it totally different than the cranberry pork roast and party pork roast that I make, and it’s uh-mazing. I don’t normally buy soda pop, but I will make an exception for this recipe every so often. Enjoy! Use a fork and knife to separate meat from the bone and shred meat. Return shredded meat to slow cooker, and stir to combine with juice. Dump bag into slow cooker and add Dr. Pepper. Serve on soft tortillas with lettuce and cheese. YUM. Do you put the whole can with the peppers and sauce in the crockpot? Last recipe I made with the peppers in adobo sauce was soooo spicy we couldn’t even eat it! Yes! You don’t end up eating the peppers, so the heat isn’t too bad. 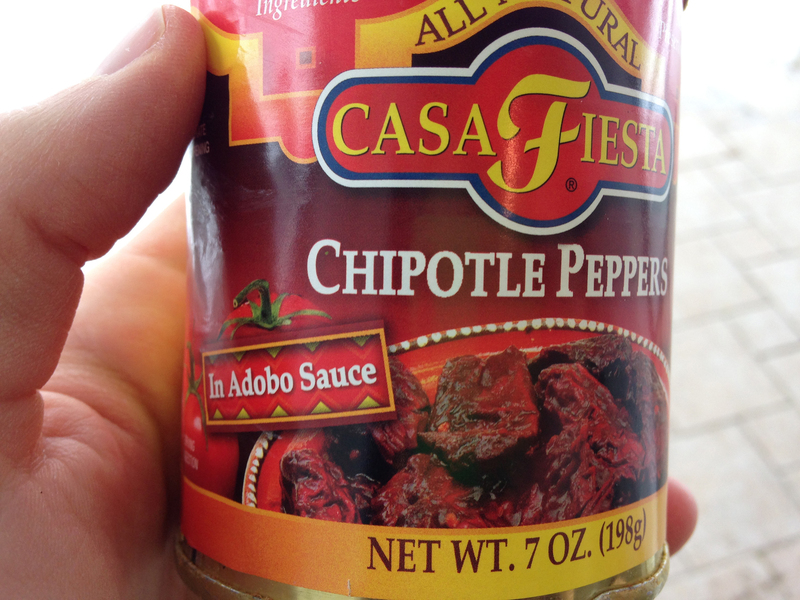 If you only like very mild salsa or no spice at all, you might not like it, but we love it!! What would you recommend replacing the spicy peppers with to make it more kid friendly? I would probably use half as many, or omit them altogether. The flavor is great though. Do you think a can of diced tomatoes would work just as well Kelly? I *think* you can substitute half of a 15oz can of tomato sauce, but the flavor won’t be the same. The smoky, spicy chipotle peppers are amazing. Can you make this for a freezer meal? Yes, absolutely! I’ve done it many times. Just wait to add the Dr Pepper until day of cooking. Do you pre-cook this to make it a freezer meal? Then add the Dr. P when reheating…. how long do you reheat it at this point if you pre-cook this?? 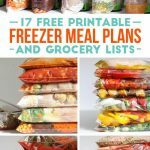 And how long can leftovers be kept frozen for before throwing out? Sorry for all the questions, new at this. Thanks in advance for your help. 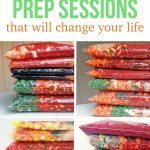 I always freeze my meals without any cooking ahead of time. 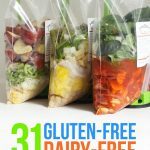 So, in the case of this recipe, I’d add everything to the freezer bag raw. I’d probably wait to add the Dr. Pepper until the day of cooking though. It might go flat in the freezer bag. How long can it be kept frozen before cooking? Up to 3 months? I wonder if you can use diet dr. pepper? I’m not sure. I’d check the original recipe from The Pioneer Woman. She might explain or someone might have asked in the comments. I was looking to see if someone had made this with diet pop as there is so much sugar in regular pop. I have made roasts before with diet and I like it. The sugar does add a lot of flavor – but it’s not sweet. With diet pop, it’s still very good. I make it with Diet Dr. Pepper all the time and we love it. I have made it with regular Dr. Pepper and personally think it’s a bit too sweet. Made this for my hubby tonight and it was SO GOOD. Made homemade wheat tortillas to go with it and it was fabulous. Thank you! YUM. Homemade tortillas sound amazing. Thanks for letting me know, Lindsay.